The Guadalupe Dance Company accompanied by Mariachi Azteca de America commemorated its 25 years of existence with a performance on Mexico’s Independence Day: Diez y Seis de Septiembre. Follow along as ARTS takes you to The Guadalupe Cultural Arts Center for an inside look at the dance company that has been entertaining the San Antonio community for years. 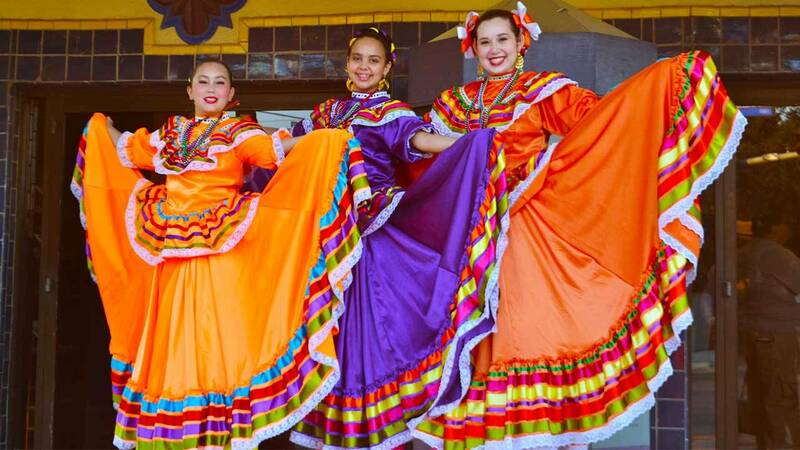 The Guadalupe Dance Company was founded in 1991 and is now one of the leading professional folklorico and flamenco dance companies in the nation. Members of the dance company are life-long participants with most members following in the footsteps of generations before them. Dance company artistic director, Jeanette Chavez has been teaching in San Antonio for 25 years and is an original member of the company. From an early age, dancing was her passion. “I knew very early on, once I was in rehearsal, once I was in the dance studio, once I was in class or on stage, there is no other place that I would rather be. Something magical seems to happen when the music is on and you’re performing," said Chavez. Classes offered at the Guadalupe Dance Company are designed to not only teach dance and choreography, but also the history and the importance of the music and costumes accompanying each dance. The costumes play just as big of a role as does the music, and the dance company gets it right by bringing guest advisors. Depending on the region of Mexico the dances originate from, the costumes are designed to mimic typical gear worn by native dancers. For the dance company, costumes worn by the members are vividly brighter and bold than usual as they are specifically designed for the stage. But the costumes are not the only bold statement made by these dancers. The Guadalupe Dance Company recently held its Celebrando Tradiciones event at the Guadalupe Theatre. The festive event was complete with live performances by the Dance Company and mariachis; the ambiance was filled with antojitos (appetizers), drinks, a silent auction, and a candy-filled piñata. Guests walked away with a better understanding of the traditions that make San Antonio rich in culture, but also a first-hand look at what makes the Guadalupe Dance Company unlike no other dance company out there. “We are rich in our culture here in San Antonio (of our Mexican heritage), and we wanted to keep that alive and share that with future dancers and students to have a sense of cultural pride about where our heritage comes from," said Chavez. Watch this fascinating episode of ARTS airing Thursday, Sept. 22 at 8 p.m. on KLRN.